Repay your lost arm wrestling debts with this Resin Arm Wrestling Award! It has two and silver-toned muscular arms poised and ready for battle and is set atop a simulated rosewood base. Customize this trophy with up to 3 lines of free professionally done engraving. 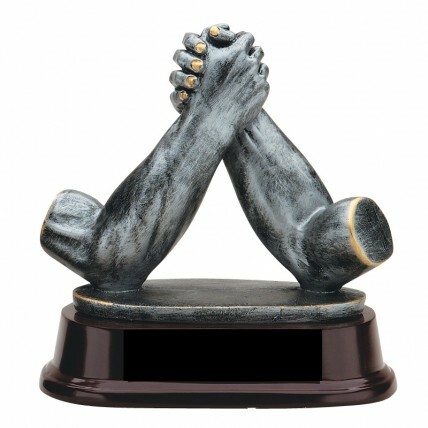 Acknowledge an epic win or a suffering loss with this classic arm wrestling trophy!